There are limitless ways for people to get exercise, whether they choose to walk, run, cycle, swim, or play in team sports. This means there is quite an array of fitness equipment options available. If you're a fan of aerobic exercise like cycling and running, then you'll want a good bicycle or a great pair of running shoes. You can also find great stationary equipment if you want to be able to work out at home when the weather is bad. 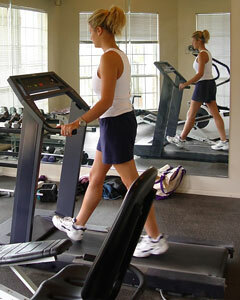 Stationary bikes and treadmills are available from such manufacturers as Life Fitness and Smooth Fitness. Weight training is another important aspect of fitness, increasing your muscle mass and improving your endurance when trying to complete strenuous exercise. Small free weights and ankle weights are popular during high-intensity aerobic exercise. For home weight training, you'll find everything from traditional weight benches to Bowflex home gym equipment. Sports-Equipment.us can help you find information about the latest fitness equipment and links to retailers that offer the gear you need. 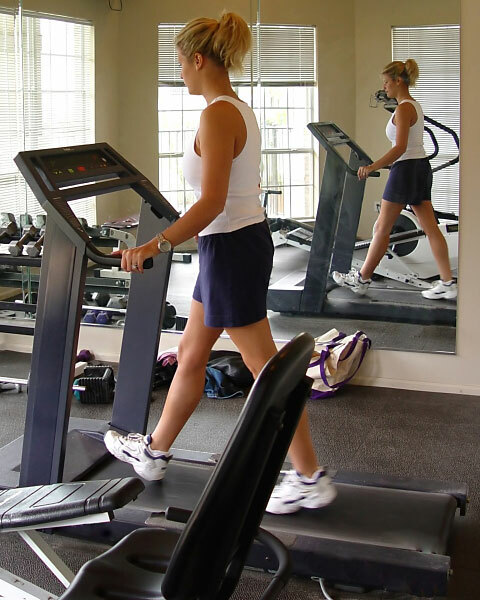 This online seller and manufacturer of fitness equipment features a selection of treadmills, gyms, and ellipticals. This fitness equipment manufacturer offers a full range of cardio and strength-training products for home and commercial use. This manufacturer and marketer of fitness equipment including treadmills, incline trainers, elliptical machines, stationary bikes, home gyms and weight benches. This marketer, developer and manufacturer of branded health and fitness products features Nautilus®, Bowflex®, StairMaster®, and Schwinn® Fitness equipment. Offers high-end fitness equipment for home and commercial environments. Precor's products include elliptical fitness crosstrainers, treadmills, cycles, climbers, stretch trainers and strength training systems. This sports and fitness equipment retailer offers a broad spectrum of treadmills, weight lifting accessories, heart rate monitors, and exercise products. Directory of exercise and fitness equipment makers and distributors in the United States of America. Each directory listing includes contact information, category tags, and a website link.